In the1930s and '40s, Black Mask was the single most important magazine for the modern mystery field. Here writers such as Dashiell Hammett, Raymond Chandler, and Earl Stanley Gardner reshaped the established view of mystery fiction, creating the "hard-boiled" private eye. Now this series resurrects from those pages the toughest of tough detectives in sonic dramatizations from the award-winning Hollywood Theater of the Ear. 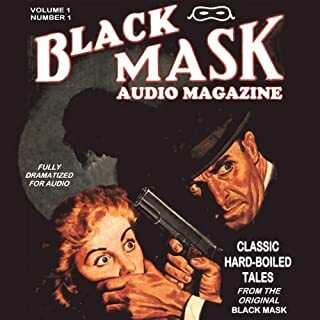 What made the experience of listening to Black Mask Audio Magazine, Volume 1 the most enjoyable? The Audible rendition took me back to the days of radio drama, the Theatre of the Mind. Well done with careful attention to detail.